There's an Irish blessing in the box lid that says: The Shamrock It grows across the Emerald Isle, Good fortune in its wake; When you believe, all things can be – Success is yours to make! 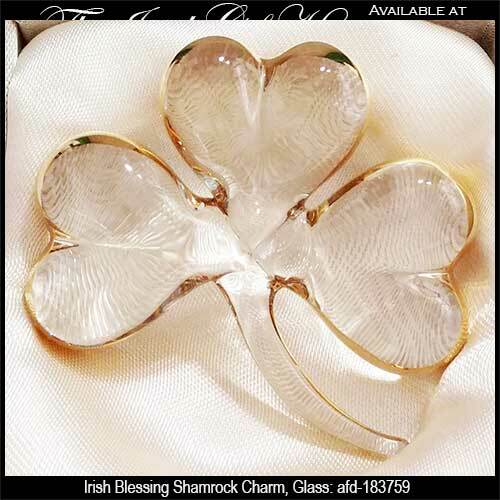 This Irish charm is in the shape of a shamrock that is crafted of clear glass. The shamrock charm measures 2" wide x 2" tall. 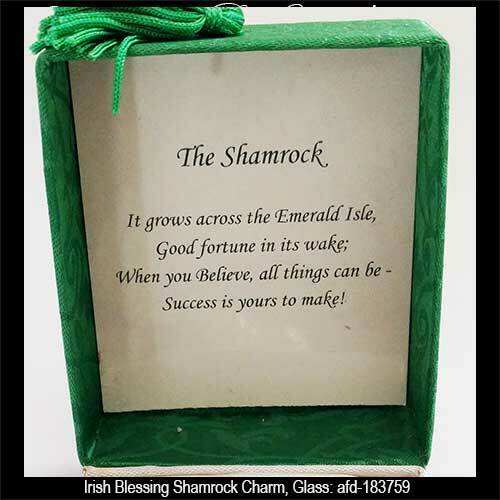 The charm is gift boxed with an Irish blessing along with a shamrock history card, complements of The Irish Gift House.